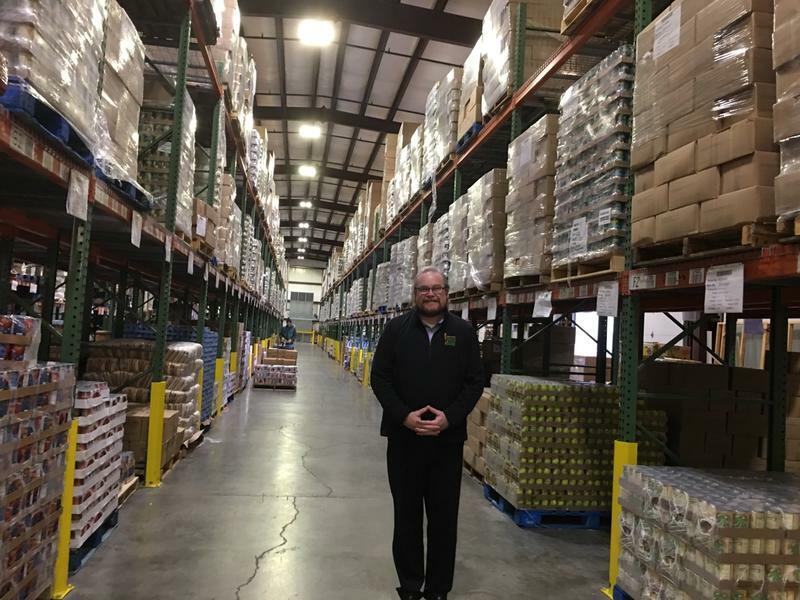 CEO Mike Halligan pushed open the door to a huge warehouse serving 50 Kentucky counties. Pallets of beans, pineapple, bottled water, and rice wrapped in a clear plastic stretch to the top tier of the scaffolding, which warehouse workers call “the sky”. Similar pantries serve 2.5 million people receiving Supplemental Nutrition Assistance Program, of SNAP, benefits across the Ohio Valley.